From walking miles for Multiple Sclerosis awareness to hosting baking competitions, the Greek life at Grand Valley State University is committed to building philanthropic efforts and straightening the community. For the 2015 calendar year, the funds raised by the GVSU Greek community increased by $44,500 compared to the 2014 amount. Last year, both fraternities and sororities completed 50,772 hours of direct service. For 2015, Gayton said the Greek community raised $219,255, far surpassing the $174,756 total for 2014. Participating in the action, 17 sororities and 16 fraternities contributed to this number during 2015. In total, all chapters were comprised of 1,644 members who contributed to the effort. As the bid night for 2016 finalized Monday, Sept. 26 for sororities and Tuesday, Sept. 27 for fraternities, both the GVSU Interfraternity Council (IFC) and Panhellenic Council reported an increase in the number of members recruited from previous years. President of the Panhellenic Council Malayna Hasmanis said the final number of bids for 2016 is still being process, but the total number is climbing over 400. For 2015, the fall recruitment brought in 404 bids, which Hasmanis is confident has increased this fall. “Although the numbers are still being finalized with recruitment ending a little more than a week ago, it is evident there is a distinct increase,” Hasmanis said. “This is so exciting to know there is a growing interest in women wanting to be a part of our Greek community." Traditionally, the IFC runs its process differently than the Panhellenic Council as bids are made year-round per chapter. However, IFC President Speros Panagos said the fall recruitment process is vital to attracting the new student population. Although he is unsure of the exact total from last year’s recruitment, Panagos is also sure the number of bids has escalated for 2016 in efforts to increase Greek awareness. In addition, Gayton said the total new members from 2015 was 728, which includes winter recruitment as well. These new members are crucial to increasing participation and awareness on Greek life efforts throughout the year. 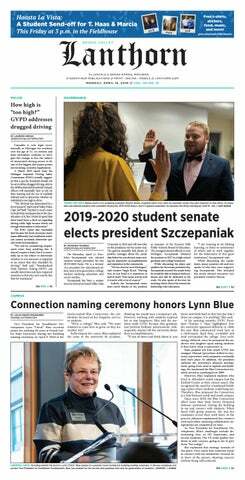 Despite the individual philanthropic and recruitment efforts each chapter contributes, Gayton said GVSU Greek life is focused on creating a campus-wide impact reaching out to numerous community partners.